As if you haven’t heard enough about Elle’s Chinese birthday party, this is my last post about a last minute decoration idea for the party. 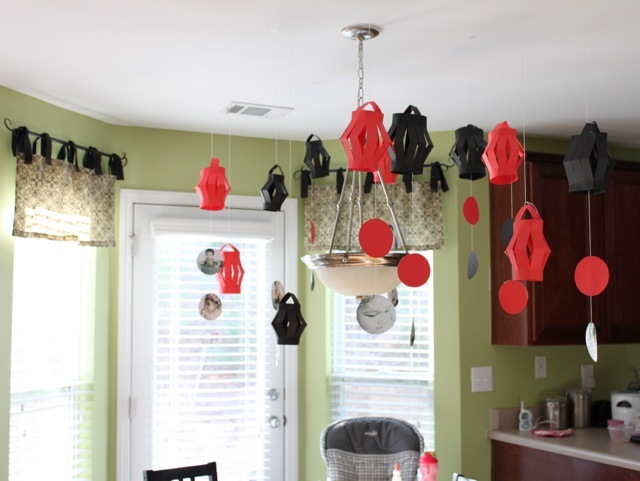 I made paper lanterns with photos from her 1 year photo shoot hanging from the ceiling. Quick decoration requires a quick tutorial. If you make something using this tutorial, please upload pictures of it in our Flickr group to show it off to everyone. You may be featured on Simply Modern Mom. 1. 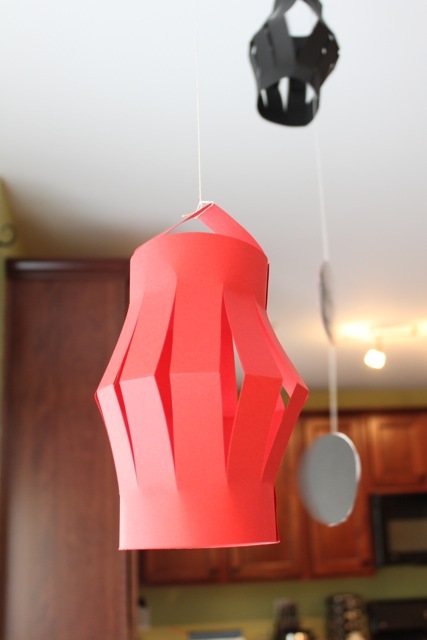 Make paper lantern. Fold lengthwise. 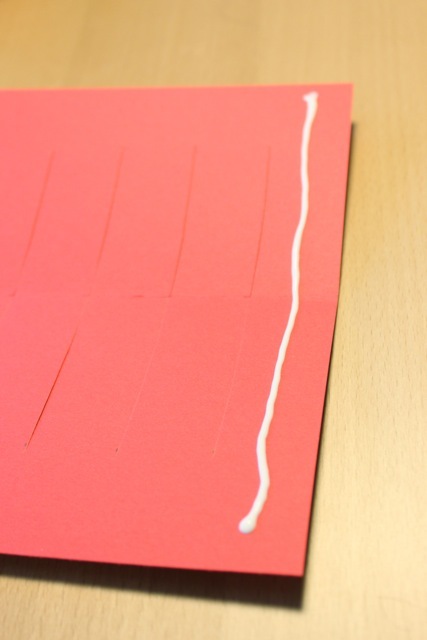 Make 1″ marks all the way across the folded end of the paper. 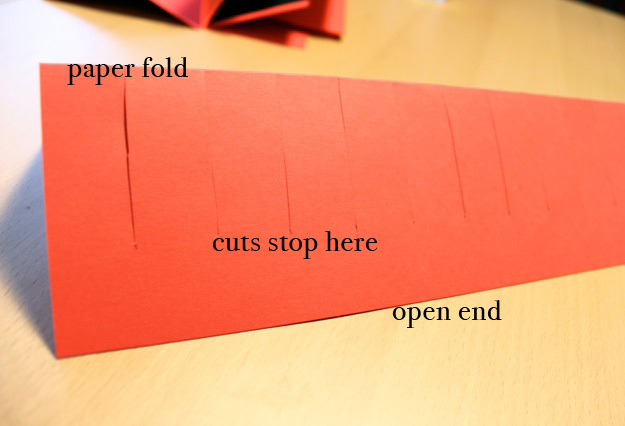 Then cut from fold to about 1″ away from the open end of the paper. 2. 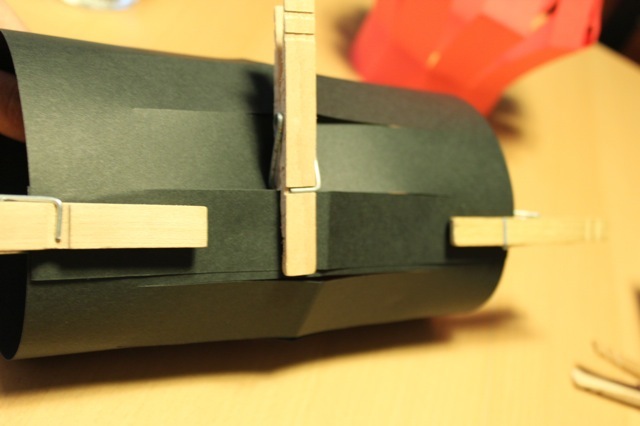 Glue the two short ends of the paper to make the lantern. 3. 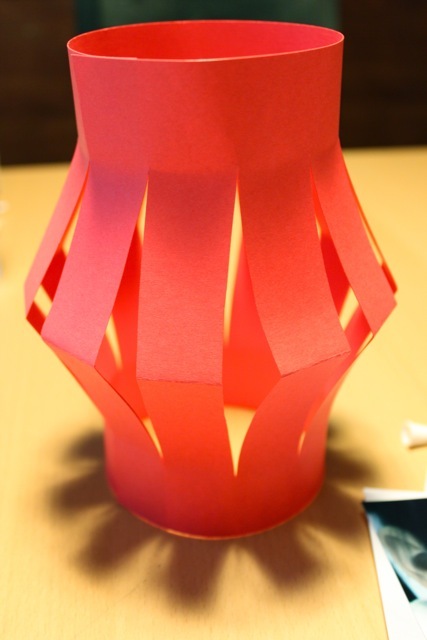 Glue a strip of paper as the handle at the top end of the lantern. 4. Using something circular to trace circles on the photo. 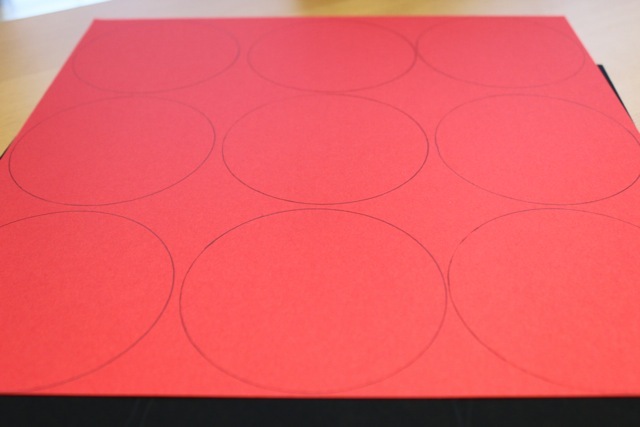 Then use the same pattern to trace circles on matching paper. Cut them out. 5. Using about a yard of strong per lantern hanging, tie string at the handle of the lantern. 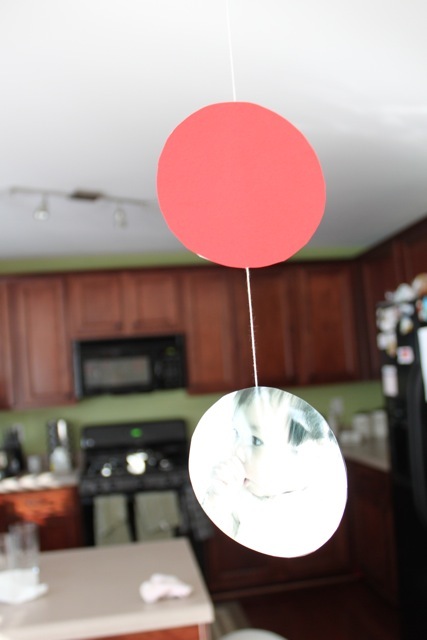 Make sure to leave about 12 inches of string above the handle to hang from ceiling. Put the string through the inside of the lantern. 6. 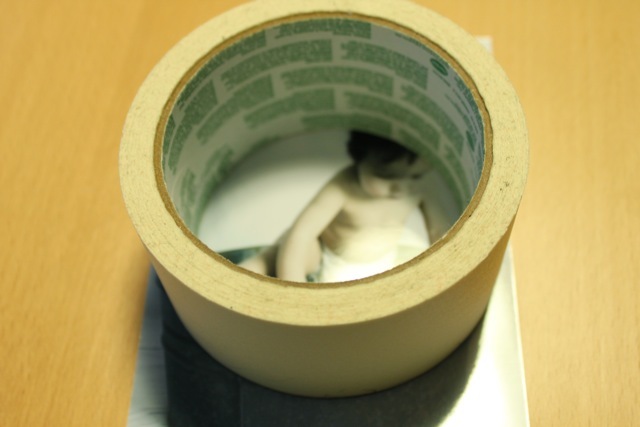 Glue photo to the circular paper backing with the remaining string in between the photo and the backing. Do to both photos or however many photos you want to dangle under the lantern. On the last photo, make sure the string ends in the middle so you don’t have a string coming out of the bottom of the photo. 7. Hang from ceiling with tape. 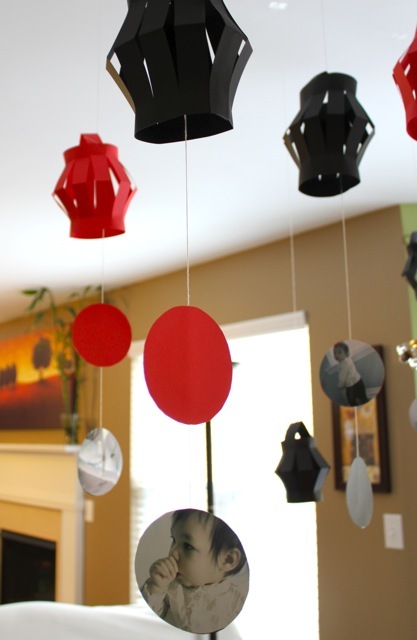 What are some of your party decoration ideas? I need ideas for the next birthday party… Nathan’s 30th. I just got it figured out! Thanks for the chance to be in the give away. Really enjoy your blog and love the 52 Date Nights. I went to Shey[B] and saw all the camera strap choices. I have three favorites! Laughing Leaves, Aqua Dot, and French Girlie. I’d love to win one because I’m going on a big trip this summer and want to take loads of photos. Thanks for the chance to win!